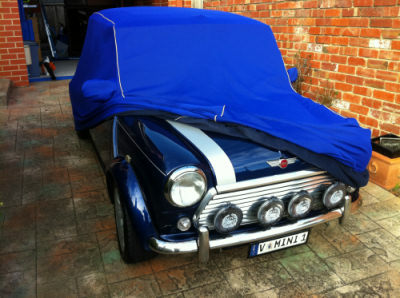 The ultimate indoor car cover for your Classic Mini, made to your specification. Your choice of 11 colours plus piping, Individually hand made to order, fully tailored and in the choice of 11 colours. Manufactured from a luxurious thick cotton/mixed fibres with soft cotton fleecy inner. 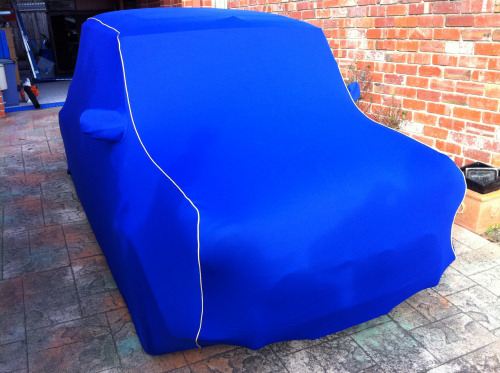 Individually hand tailored for your Classic Mini, complete with pipe seams. For indoor use only. Storage bag included.